We always provide the best in Theatrical & Theme Party Attire. Like this High Quality Dickens on the Strand Victorian Festive Dress that could also be used as a Fancy Theatrical Dickens Townsperson or Fizzywigs Christmas Party Costume. This would also make quite an impressive Strolling Victorian Christmas Carolers Outfit. We have equally as amazing Victorian Gentlemens Attire. This Festive Bright Christmas Caroler Costume is only one style we can provide for your production. If you prefer, we can tone it down or glitz it up. If you need Makeup for Christmas Productions and Professional Quality Caroler Costumes we’ve got it. Let us help you with your Theatrical & Film Christmas Holiday Productions. Prefer more demure attire for your carolers? Go peasant, go Dickens style, go Victorian or Gothic Victorian. We provide costumes from head to toe or just the pieces you want. We’ve got the Ben Nye or other professional quality makeup & supplies you need too. This Prissy Missy Victorian Lace Christmas Caroler Costume is a great Fancy Theatrical Christmas Caroler Costume idea. We have this Lovely, High Quality Costume in several colors. This outfit would work for Christmas Pageants & Dickens on the Strand Parade Attire. Keep in mind that this is only one of many, many Caroler Costumes we have available right now in our shop. Many outfits come in several colors and each can be accessorized to fit your need or taste. We offer Elaborate Victorian or simple, basic towns person costumes & Accessories. We have enough costumes for the entire cast or choir. This versatile Gentleman’s Victorian Outfit has the Quality that will last a lifetime of Christmas Caroling or attending Victorian Events and Festivals like Dickens on the Strand in Galveston. Our Tailcoat or Morning Coats are great for Theatrical Plays & Pageants. If you need the main characters or towns person attire, we have all the clothing, costumes & accessories for any character you can think of. We provide complete outfits from head to toe or just the pieces you need. We have many Lovely Christmas Caroler Costumes and Accessories. Choose from Victorian, Elizabethan, Edwardian or Dickens English Styles of Christmas Caroler Ladies Attire. Just come in and we will help you create Christmas Caroling Costumes for Ladies, Men or Children. We have enough for small groups of carolers we have enough to outfit an entire city. We stock Traditional Christmas Caroler or Towns Person Attire and all of the traditional movie or theatrical production costumes and accessories you will ever need including professional wigs & makeup. If you need outfits from head to toe or just some pieces to complete your wardrobe, we have it. Show up in this Festive Christmas Attire for your office Holiday Party or family Christmas Gathering. It’s one way to show your Christmas Spirit. This Dapper Dickens Era Christmas Caroler Costume is only one example of Caroling Outfits we can hook you up with. We have toms or Theatrical or Dickens on the Strand & Victorian Christmas Party Costume Ideas. 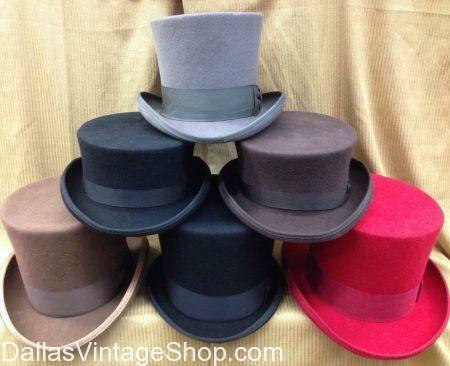 We have an unbelievable collection or Mens Christmas Carolers & Theatrical Quality Top Hats, Costumes and Accessories. Are you going to Dickens on the Strand in Galveston? Always check our websites Events Category for opportunities to wear the fine costumes you find at Dallas Vintage Shop. Victorian Couples Theatrical Christmas Costumes and Quality Accessories. We can hook you up with quality, amazing Christmas Caroler or Victorian Towns Person Outfits from head to toe. Go rich or modest. Go Victorian, Dickens, Steampunk, Old West, Aristocratic or any style you can imagine. We can outfit you from head to toe or just supply the hard to find pieces. It all in stock all year round. We have everything you need. We have already done the work and all the running around that is required to put on a major production or a Dickens on the Strand Costume for one couple or a single. You are in Christmas Victorian category.